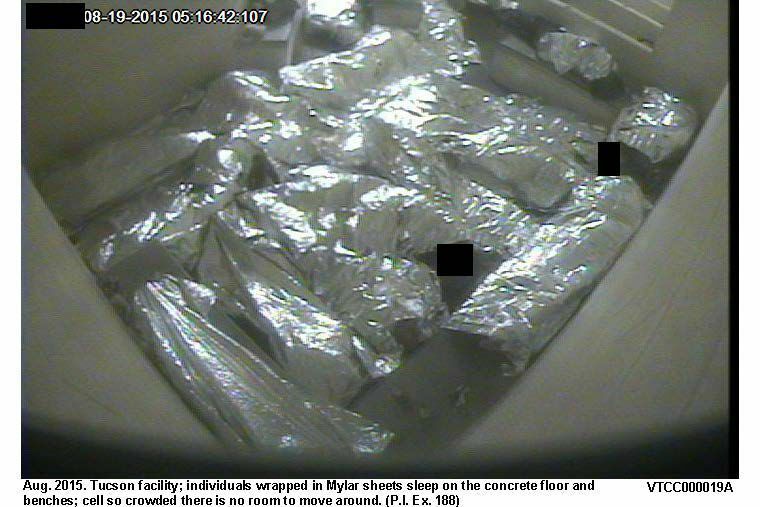 Detainees used these mylar mats to stave off the cold in detention centers. Border Patrol has come under fire from federal prosecutors and civil-rights advocates following the discovery that immigrants are forced to sleep on cold concrete floors. Tucson.com reports that the floors were so called that they earned the nickname, hierleras,” or iceboxes. 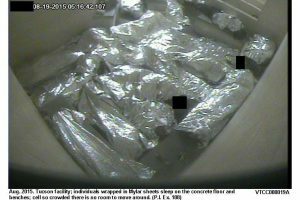 Bury also referenced statistics that show most detainees are forced to stay in detention centers twice as long as the agency’s recommendation of 12 hours or less. Border Patrol defended the actions, saying it’s doing the best with limited resources. “But this court can’t be concerned with budgetary issues,” Bury said. Posted: 11/15/16 at 9:32 AM under News Story.